Pay Per Click search engine internet marketing bid management is the process of evaluating which bid would work best for an advertiser's product and the maximum price they are willing to pay per click. Bid management software is essential in maximizing an advertiser's PPC advertising program. Using bid management software may improve the Return on Investment (ROI) that an advertiser's PPC online advertising program produces but its benefits are still inferior to those of organic search engine optimization developed by a professional website promotion and custom website design company like Dynamic Digital Advertising (DDA). Why Do Advertiser's Need Bid Management Software? It is difficult for an advertiser to keep track of how much money is being spent on clicks in different search engines, what keywords are producing ROI and how much the most desirable and suitable keywords will cost. Automated bid management software can answer these questions for an advertiser and even offer other features like bid updates, bid gap placement and bid gap squeeze. Advertisers with large budgets and complex marketing strategies benefit more from big management software than smaller companies who are unable to invest much money on Pay Per Click search engine advertising. Atlas OnePoint and BidRank are market leaders in Pay Per Click search engine bid management software. Atlas OnePoint offers online Pay Per Click bid management software to manage keyword bids in 22 different PPC advertising search engines such as Overture and Adwords. This program has a Return on Investment (ROI) tool that shows exactly what keywords and what search engines are producing ROI. Prices start at around $50 a month and increase as your budget does. BidRank has the benefit of a one time license fee which is more beneficial for a campaign with a long time span and a tight budget. It does not offer as many features and the cost is higher initially than Atlas OnePoint but over time, BidRank allows an advertiser to save money. Both offer free trials so an advertiser can see if their PPC online advertising program will benefit from this software. Bid Management software does help an advertiser manage their spending on bids. Using PPC Bid management software does not, however, change the fact that 4 out of 5 search engine users never click on Pay Per Click sites1. So no matter what means an advertiser uses to get the most out of their PPC programs, the best bet is still to use organic search engine optimization and customize webpages so they appear in the top search results of the major search engines like Google, Yahoo and MSN. Located in Philadelphia, Dynamic Digital Advertising is a custom website design and development company which can optimize your website to appear in the first page of search results for major search engines like Google, Yahoo and MSN. Using a 14 step process that includes keyword research, content development, organic search engine optimization and search engine marketing, DDA can maximize your webpages relevancy while boosting its visual appeal through graphic design services. In the end, user experience is so enjoyable that website visitors become customers. Dynamic Digital Advertising offers companies the greatest catalog of marketing and promotional graphic design services in the country. 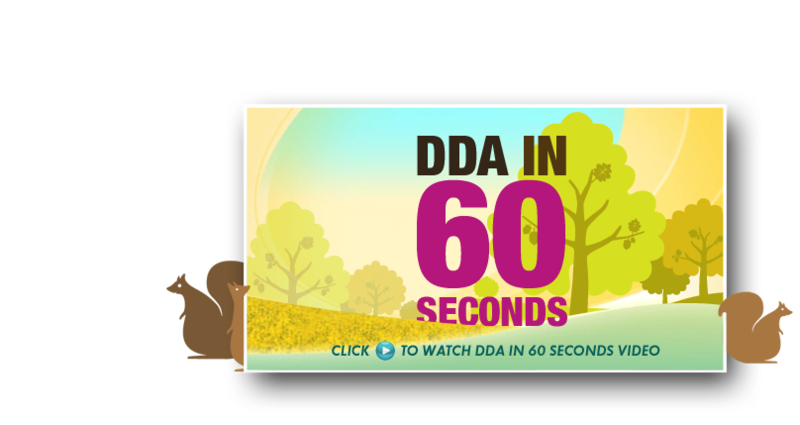 DDA can offer a company animation or graphic design for virtual reality or digital video production. Other services include print media design, trade show displays, CGI and digital photography. Web designers utilize all of these services to develop corporate branding and logo designs that enhance corporate identity and impress clients, business partners and investors, improving the overall quality of a companys presence.